A gorgeous island retreat on the Great Barrier Reef is played host to the beautiful actress for Audi Hamilton Island Race Week, but she is far from the only celebrity to enjoy its perfect beaches and luxe amenities. British-Australian actress Naomi Watts, star of films such as Mullholland Drive and King Kong – not to mention one of People Magazine’s “50 Most Beautiful People” – reportedly spent a week at an uber-luxurious island resort Down Under. 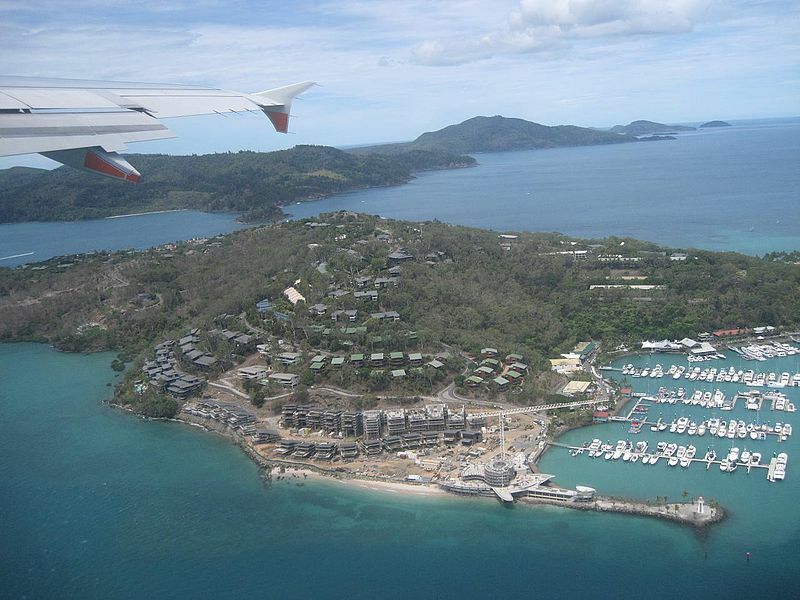 The largest inhabited island in Australia’s picture-perfect Whitsunday chain, a set of sparkling jewels off the coast of Queensland, Hamilton and its Qualia Resort has long been a playground for the world’s elite, including Oprah Winfrey and guitarist for the Beatles, George Harrison, who owned a home on the island for years. According to local media reports, Naomi arrived by private jet and enjoyed a stay on the island while her partner, actor Live Schreiber, was filming a new movie directed by PJ Hogan, Mental, at nearby resort community Gold Coast. Naomi also had another reason for her sojourn on Hamilton Island – the actress has just been named the newest “brand ambassador” for German automaker Audi, and was attending the high-profile Audi Hamilton Island Race Week, the country’s largest offshore sailing regatta. Up to 250 boats take part in the event, which winds throughout the Great Barrier Reef and the 74 isles of the Whitsundays. This year, 195 boats participated, crewed by a mix of professional and amateur mariners – several groups of Tasmanians dominated one of the events, while the crew for the Royal Sydney Yacht Squadron took top spot in the highly competitive racing division. During Race Week, an exclusive invitation-only dinner was held on Hamilton to welcome Naomi as the latest Audi representative. In attendance were fellow Audi ambassadors, including fashion designer Collette Dinnigan, and top brass at the auto maker like Uwe Hagen, the managing director of Audi Australia. In a speech during the dinner, the Audi head said that the company was “delighted to welcome someone of Naomi Watt’s stature” to join the company’s ambassador program. The company should be thrilled – looking stunning in a new blue-and-white print Collette Dinnigan gown debuted from her Resort 2011-2012 collection, it’s hard to imagine a more appealing face than Naomi Watts for raising the profile of the Audi brand.